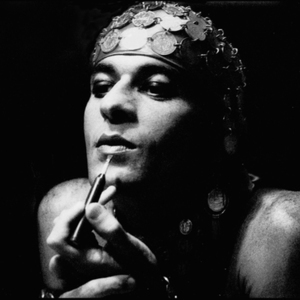 Ney de Souza Pereira (born August 1, 1941, in Bela Vista, Mato Grosso do Sul), widely known as Ney Matogrosso, is a Brazilian singer. Matogrosso enlisted in the air force at the age of 17, being later transferred to Bras?lia. Within a few years, Matogrosso started singing in a vocal quartet, performing at college festivals throughout Brazil. With the hope of becoming a stage actor, Ney moved to Rio de Janeiro in 1966, where he lived as a hippie and made ends meet by selling arts and crafts. Matogrosso enlisted in the air force at the age of 17, being later transferred to Bras?lia. Within a few years, Matogrosso started singing in a vocal quartet, performing at college festivals throughout Brazil. With the hope of becoming a stage actor, Ney moved to Rio de Janeiro in 1966, where he lived as a hippie and made ends meet by selling arts and crafts. In 1971, he moved to S?o Paulo, adopting the artistic name Ney Matogrosso, and joined the group Secos & Molhados, which in less than 18 months became a phenomenon, selling 1 million records. Endowed with a unique counter-tenor voice and a striking stage presence, Ney's career soared. After the group Secos e Molhados split up, Ney pursued a successful solo career in Brazil and abroad, obtaining several Gold and Platinum records. Famous for his outlandish costumes, make-up, daring movements and singular high-pitch voice, Ney has always been regarded as a polemic character. One of his greatest hits was the song "Homem com H" (by Ant?nio Barros). In the 1970's he released albums that were very important for his career: "Pecado", "Bandido", "Feiti?o" and "Seu Tipo". In that period, Ney toured round United States, Argentina, Uruguay, Europe and Israel, performing hits like "Am?rica do Sul" (Paulo Machado), "Bandolero" (Lucinha) and "N?o Existe Pecado ao Sul do Equador" (Chico Buarque/ Rui Guerra). In the 80's, Ney recorded "Por Debaixo dos Panos" (Ceceu), "Tanto Amar" (Chico Buarque), "Ando Meio Desligado" (Mutantes), "Sangue Latino" (Jo?o Ricardo/ Paulo Mendon?a) and "Vereda Tropical" (Gonzalo Curiel). In 1986, Matogrosso performed for the first time without wearing fancy costumes, adopting a low-key image. Since then, he has focused on his work as a singer, recording from the traditional repertoire of MPB (M?sica Popular Brasileira ? the so-called Brazilian pop music genre). Recordings in this genre first appeared on the album "O Pescador de P?rolas" (1986), which featured "O Mundo ? um Moinho" (Cartola), "Dora" (Dorival Caymmi), "Da Cor do Pecado" (Boror?) and "Aquarela do Brasil" (Ary Barroso). Ney toured with guitarist Raphael Rabello, with whom he recorded the album "? Flor da Pele" in 1990. Then, he made two albums as a tribute to Brazilian performers/songwriters, like ?ngela Maria ("Estava Escrito", 1994) and Chico Buarque ("Um Brasileiro", 1996).